Much research suggests that fish is good for you—but the benefits of eating fish depend on you choosing and cooking the healthiest options. Fresh out of the oven: a tray of cooked salmon. The benefits of eating fish range from heart health to brain health to reduced risk of inflammation. Eating fish regularly is one of the best ways to ensure good heart health, according to the American Heart Association (AHA), which recommends that we consume fish at least twice a week. But before you serve up the seafood, keep in mind that the benefits of eating fish vary depending on which type of fish you choose. Put simply, some fish packs less of a nutritional punch—and some types of fish may pose health risks. Plus, the way you cook fish also factors in. Numerous studies underline the benefits of eating fish. Fish contains important heart-protective vitamins (including vitamin D, which has been linked to a lower risk of cancer, heart disease, and fractures), and minerals (including iron, zinc, potassium, and magnesium, with some fish—such as canned salmon and sardines—also being a good source of calcium if the soft bones are eaten). Fish also is low in artery-clogging saturated fat. But the main benefits of eating fish come from the fact it’s a source of omega-3 fatty acids. Essential to human health, these can’t be manufactured by the body. Although there’s no official recommended daily amount (RDA) for omega-3s, most experts recommend that we consume at least one gram a day. We need to obtain them via supplements or diet, and fatty fish—such as salmon, tuna, herring, and sardines—is one of the best dietary sources. 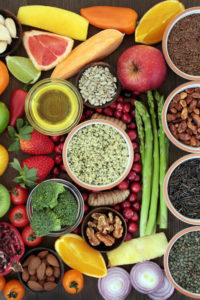 Research indicates that omega-3s reduce inflammation and lower blood pressure, triglycerides (fats that circulate in the blood) and LDL (“bad”) cholesterol—all risk factors associated with chronic diseases such as cancer, heart disease, diabetes, and arthritis, as well as stroke. In a study published in Arthritis Care & Research (Feb. 6, 2018), people with rheumatoid arthritis who consumed fish twice per week had lower disease activity (swollen/tender joint counts along with other assessments) than those who ate fish less than once a month or didn’t eat fish at all. There was also a graded association, so that increasing the number of servings eaten was linked with incrementally lower levels of disease activity. Fish has long had a reputation for being “brain food,” and another recent study found that children who eat fish have IQ scores that are four points higher, on average, than those who consume fish less frequently or not at all. The study, published in the journal Scientific Reports, also suggests that children who regularly eat fish sleep better at night. Fish can benefit older brains too. Research also has shown that the benefits of eating fish for people who regularly add it to the menu include a lower risk of cognitive decline. If you’ve tended to prefer meat to fish, boost your fish intake by substituting it for a meat choice one night a week, before working up to two. And don’t forget that the benefits of eating fish are influenced by the way you cook the fish. Avoid shallow- and deep-frying fish, as this increases its fat content, and avoid breaded fish. 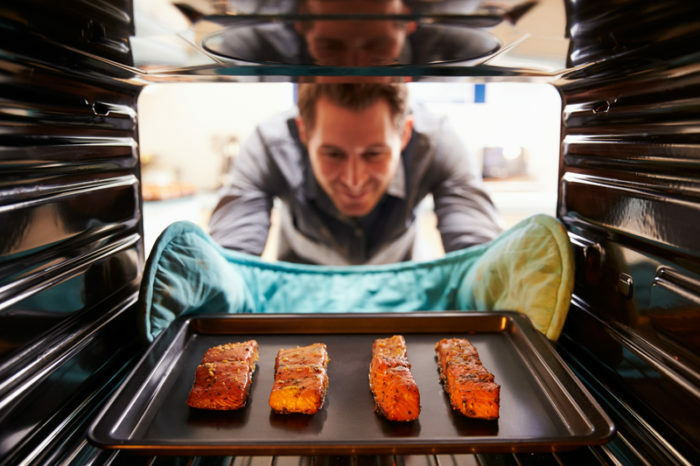 Baking, broiling or steaming is best for fish fillets, while fish steaks can be grilled. Try using different spices to enhance the flavor—if you like spicy foods, try hot pepper, or if you like tangy flavors, cook it sweet and sour. If you prefer traditional tastes, season fish with garlic and rosemary. Marinades work well: try lemon or lime juice mixed with garlic and dried herbs. 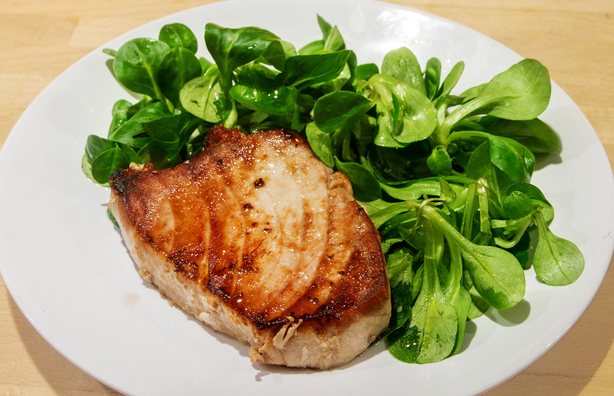 Firm fish steaks also can be cut into chunks and used to make fish kabobs; canned tuna, salmon, or sardines make good additions to salads, pasta, or rice. Some fish may pose health risks. For example, certain fish contain high levels of mercury, a heavy metal that may raise the risk of heart attack as well as damage to the nervous system. The fish that are most likely to be contaminated by mercury include shark, swordfish, tilefish, king mackerel, tuna steaks, and canned albacore tuna (chunk light tuna is fine). Fish also may be contaminated with common pollutants, so stick to wild fish if possible. Farmed fish has higher levels of contaminants and lower omega-3 levels; plus, farmed fish are fed on a diet that increases their overall fat content over and above healthy fats. If you don’t like fatty fish, remember that pollock, cod, and shrimp also contain omega-3s, although you’ll need to eat a 6- to 7-ounce serving. And finally, if you don’t like fish, get your omega-3s via a fish oil supplement or from other dietary sources (including walnuts, flax seeds, tofu, and green leafy vegetables). Triglycerides, add, age related macular degeneration, arthritis, arthritis care, arthritis disease, bad cholesterol, benefits of eating fish, blood pressure, brain, brain food, calcium, cancer, children, cholesterol, cognitive decline, diabetes, diet, fish oil, food, garlic, health, healthy fats, heart attack, heart disease, heart health, inflammation, iron, ldl, lower blood pressure, macular degeneration, magnesium, mercury, omega 3, omega 3 fatty acids, omega 3s, potassium, potassium and magnesium, reduce inflammation, rheumatoid, rheumatoid arthritis, rheumatology, risk of heart attack, sleep, spices, stroke, supplement, supplements, vegetables, vitamin, vitamin d, vitamins, walnuts, zinc. It’s so cool that eating fish can help lower the risk of cancer and heart disease. One of my friends is a little nervous about trying seafood, so maybe reading this article could help him. Thanks so much for explaining the benefits of eating fish.